XRP has been added as a base pair on one of the largest Crypto exchanges in the world. 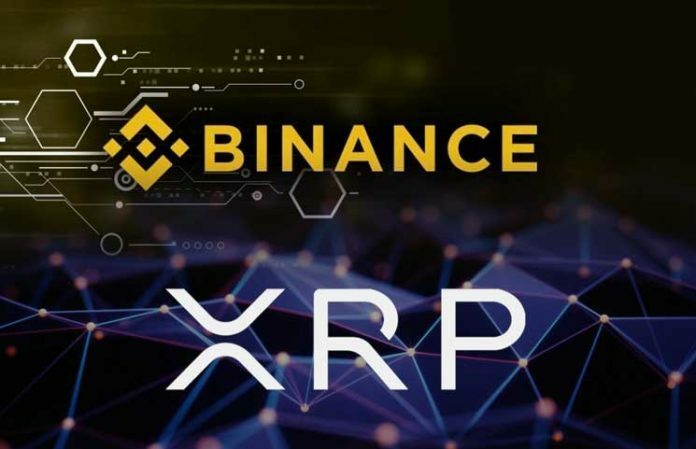 Binance has announced the addition of XRP as a trading pair which means it will now be utilized as a primary assets that can be used in purchasing other digital assets listed on the platform. This is not the first time that XRP is being added as a base pair by a Crypto exchange, other smaller exchanges have already done it alongside other digital tokens and fiat currencies. It is, however, still significant as it marks the first time the token has been added as a primary assets by a major Crypto exchange. The pairs that have been rolled out are the Tron trading pair (TRX/XRP) and the Zcoin trading pair (XZC/XRP). The exchange’s chief executive Changpeng “CZ” Zhao had been toying with the idea and has been giving hints on the possibility of this happening on Twitter for a while now. Upon hints of this possibly taking place, the XRP community quickly rallied behind the idea urging Zhao to add it as a base pair on the platform. On multiple occasions, the Binance head was asked directly to add XRP to which he did not respond. One Twitter user even asked him to either add XRP or give him a Camaro. In response to one Twitter user who had made the same request, Zhao commented that they should be careful what they wish for. Days later he announced via his official Twitter account that indeed Binance will be adding XRP as a base trading pair. The announcement stated that coupled with the addition of trading pairs with XRP, the ETH markets was being renamed to ALTS market. Zhao announced that the firm would be changing the name of its Ethereum markets to ALTS market saying this was necessary as the firm was running out of space in its UI (user interface). He added that, in the addition of more trading pairs, priority will be given to the projects that donated to the company’s charity noting that this was not made public at the time of the fundraising efforts. November saw XRP solidify its second place ranking in the world overtaking Ethereum. It is now ranked second in the listing of the most valuable digital assets in the world. Its current market cap according to CoinMarketCap is just under $17 billion. Binance has possibly led to the rise in the value of Tron and Zcoin by announcing that they were currently the only trading pairs for XRP available on the platform. Binance, which is currently by trading volumes alone the largest Crypto exchange on the planet, has been expanding its token offering throughout the year with its main focus having been stablecoins. Earlier on in the month, the firm announced that it was launching an additional range of trading pairs featuring the TrueUSD as a quote currency. TrueUSD is a stablecoin pegged on the US dollar.